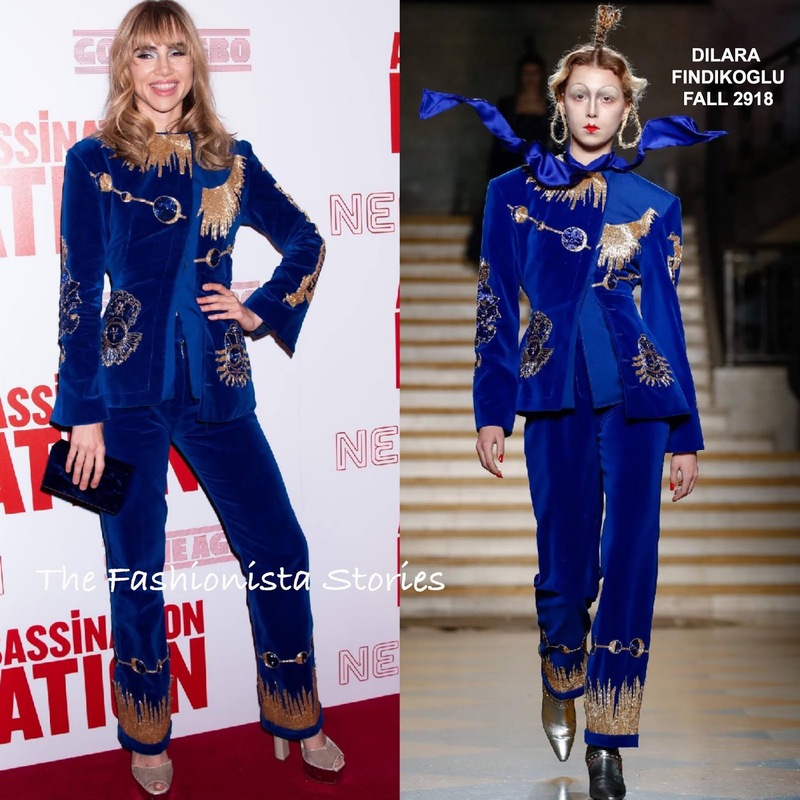 Continuing on the promo tour, Suki Waterhouse hit the red carpet for the screening of 'Assassination Nation' at the Metrograph on Monday(September 17th) in New York City. Taking on a retro inspired look, she wore a DILARA FINDKOGLU FALL 2018 cobalt blue velvet & gold embellished suit. I like this suit on Suit because her online with her versatile style. An off-the-shoulder hairstyle would have been ideal, Suki went with bangs & loose curls which added to the retro appeal of her look along with the GIUSEPPE ZANOTTI platform sandals. However the makeup is a bit too much. A velvet navy clutch rounded out her look. Are you feeling Suki's look?